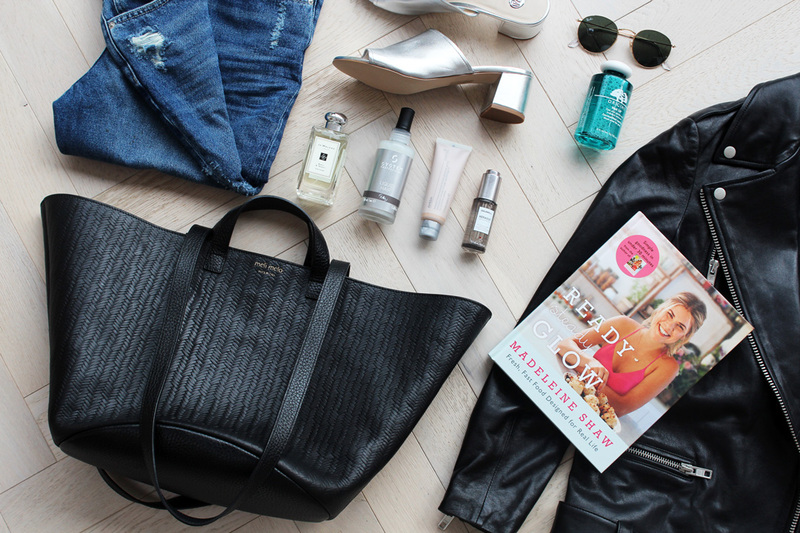 September is such an exciting month; it´s the end of the summer, time to start-a-fresh, change out your wardrobe and kick-start a fresh, new season… And here are the things which I´ve been loving whilst at it! 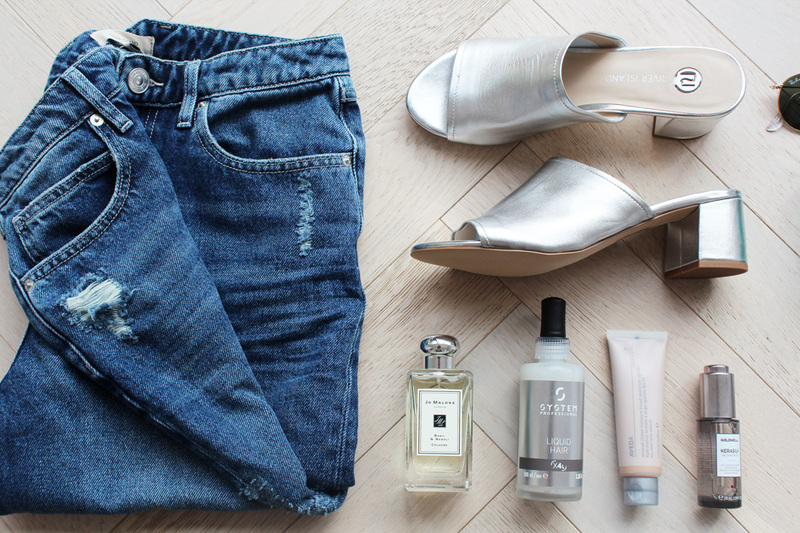 The perfect “mom” jeans, teamed with the prettiest silver mules from River Island – are two of my favourite wardrobe pieces at the moment (and also, just happen to be the perfect match). I can’t live without Origins Eye Makeup remover – which is so gentle, and soothing to use. 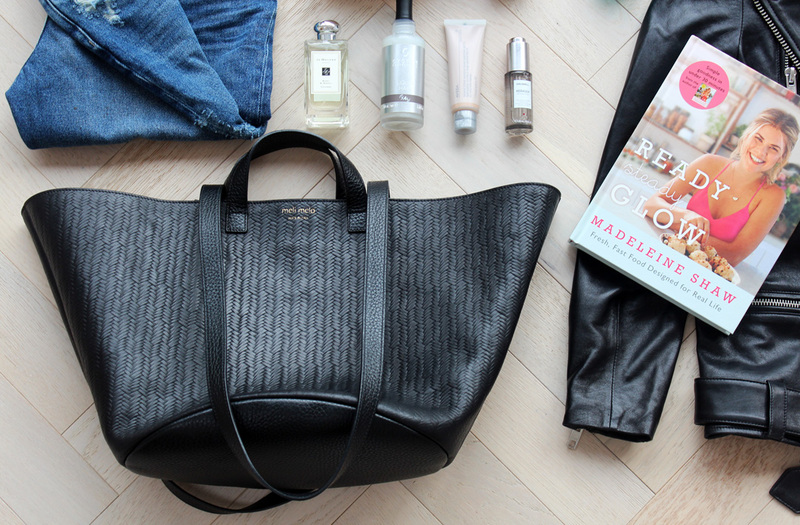 No doubt you’ve spotted this black woven leather bag from Meli Melo on me a few times already, which has firmly become one of go-to bags – the size is perfect for day-to-night occasions and ideal whilst travelling. 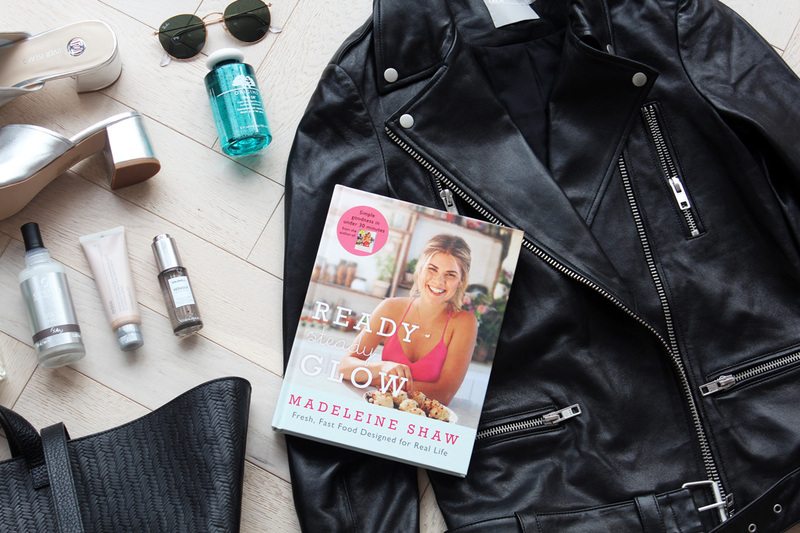 I had the pleasure of finally meeting the lovely Madeleine Shaw the other day, who kindly gave me her gorgeous cook book – “Ready Steady Glow” – filled to the brim with healthy and easy recipes for people on-the-go! So much inspiration in there. 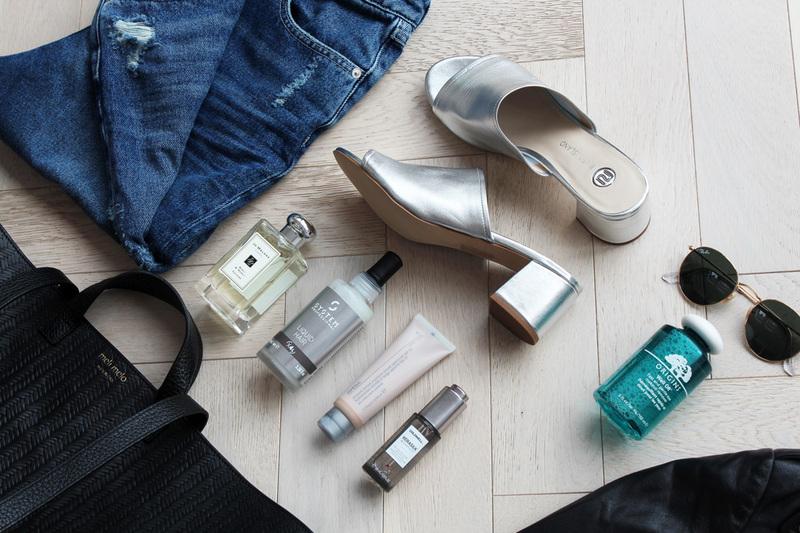 Some beauty essentials include Jo Malone´s latest perfume release with their Basil & Neroli cologne – so fresh, and perfect for the new season ahead. I´m keeping my hair silky smooth with System Professional iconic Liquid Hair treatment (which my hairdresser at Sassoon swear by). It´s pricey – but worth every penny (and will last you for ages). I´m all about a natural look when it comes to my make-up, so needless to say I´ve tried my fair share of tinted moisturisers! 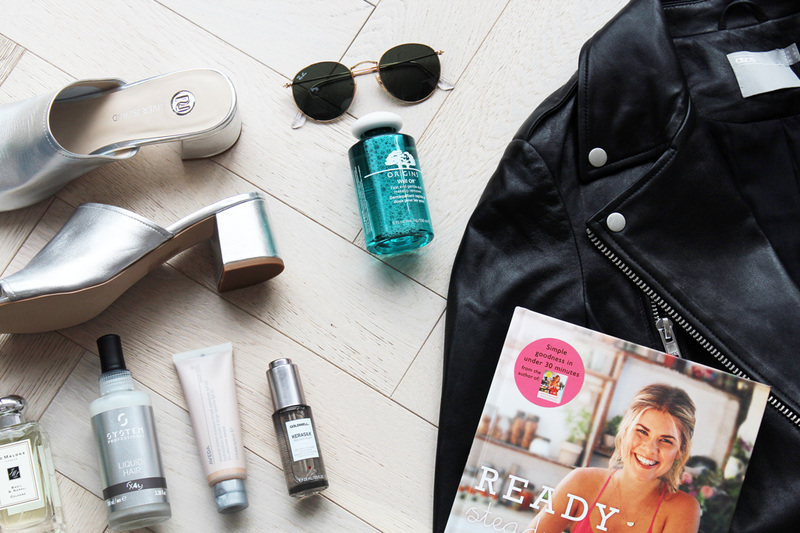 I´m currently obsessed with AVEDA´s Inner Light Tinted Moisture SPF15, which is just so lightweight and smooth. I´m keeping my split ends at bay with Goldwell´s new Kerasilk Reconstruct Split Ends Recovery Concentrate – which does exactly just that. 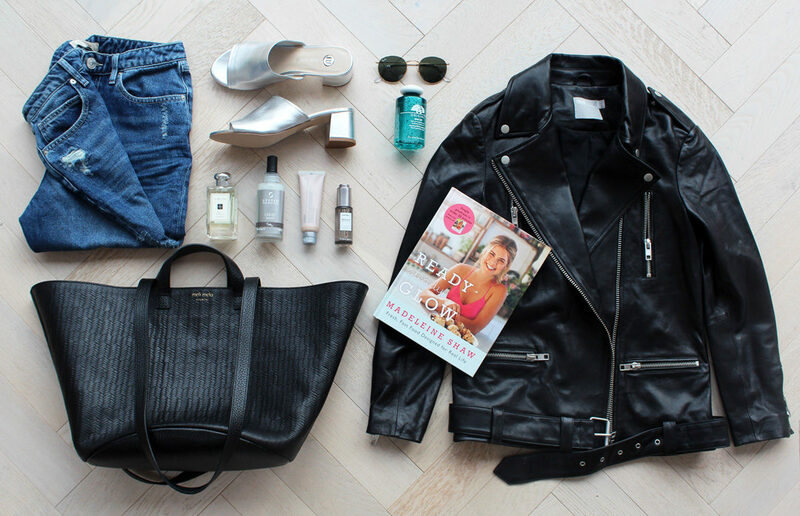 Last, but certainly not least – my new biker jacket from ASOS, which is such a great piece for Autumn! I love the oversized and longline fit, with all the classic zips and buckles. It´s not too bulky either, and is so incredibly flattering on. Love it!